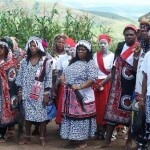 Zululand Eco-Adventures offer day-to-day cultural tours to traditional sangoma ceremonies. The ceremonies are at fairly new church in rural Zululand. It is very vibrant and colourful with a woman priest who serves beer in place of wine. You will hear people talking in tongues, drums, music and chanting, where fifty to one hundred people attend — a really interesting new experience. These unique ceremonies are set in the beautiful Zululand countryside surrounded by rolling hills and Zulu villages. They usually take place in a traditional kraal so one can also experience day to day life in rural Zululand while the ceremonies are taking place. In Zululand, the Sangoma is a practitioner of folk medicine and counselling in traditional Zulu societies. The Sangoma philosophy is based on a belief in spirits, and have equal representation between men and women. They may be consulted for issues of health, love, travel, or business. They are also often used to reveal information about a crime. 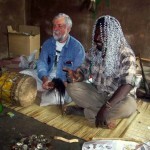 The sangoma performs a first-world function similar to counsellor. For a Zulu Sangomas there is a long student period, similar to many religions, with an emphasis on service. After a few years of training they are initiated in a weekend ceremony to which we are welcome. Throwing the bones: this how the sangoma reads the client’s future. Zulu people believe in ancestors and in traditional healing. 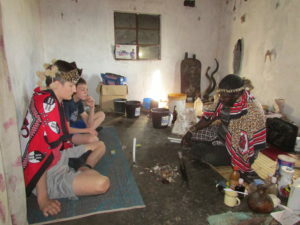 They believe that the divine healer, or sangoma, has supernatural powers of communicating with the ancestral spirits on their behalf. 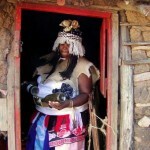 Sangomas play a significant role among the Zulu nation and are assigned very powerful status among the society. Often it is women who take up this profession. Sangomas predict the present and the future of the people who come to seek help from them. Sometimes they are even expected to find stolen goods. They throw and read bones to determine the future. 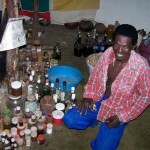 Sangomas generally work alone and sometimes they work in conjunction with medicine men (inyangas). You can experience these ceremonies first hand! Tours leave from Sugar Hill Manor and Zululand Backpackers on Wednesdays and Sundays at 1 pm. If you would like to experience this unique part of the Zulu culture, please contact us at info@eshowe.com or enquire here.